Want to do work in Railway department then, now you have great chance to start doing a career in Indian railway department with the Posts of Group D Level-1 Posts and get selected on the basis of Interview and merit list (As per Qualifications). As RRC South Central Railway department inviting interested candidates for appointed of 9328 Bumper Posts Jobs vacancy under Railway recruitment cell overall in Secundrabad. If you possess minimum eligibility (As mentioned Below) then, you can do online registration from the official portal website of RRC Secundrabad i.e www.scr.indianrailways.gov.in (Note: No other Apply Method will be accepted). We are requesting the candidates that, they must first go through official notification & all important detail regarding RRC SCR recruitment 2019. RRC, Secundrabad is authorized to recruitment intended candidates under Group C & Group D Posts under South Central Railway zone. Railway recruitment cells are responsible for recruiting Group C & Group D Posts in Indian Railway. Now, current running vacancies Posts is Level-1 Posts. Who’s application form available from 12-03-2019 to 12-04-2019. Below we share all rrb scr recruitment current running & upcoming Posts notification detail so, stay tuned with us. 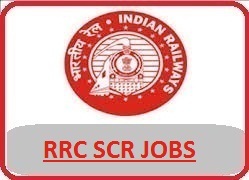 If you are not eligible for RRC South Central Railway (SCR) Current running notification then, you can also check other 17 railway recruitment cells wise Jobs notification from the link Below. If you are looking for more notification to be released by Railway recruitment under South Central Railway cell then, you can visit this page every day or just subscribe our website to get direct recruitment in your E-mail So, that you never miss any Jobs notification from scr railway recruitment cell. Hello sir i want job in railway department my Coulification is 10th pass and Twelfth final exams were not given. I am ready for railway job. I like to do job in railway and I am searching vacancies in online. My qualification is 12th pass and present I am doing hotel management degree final year. Hi sir. .. iam interested railway jobs. . Please give me one chance. . I am 10th. 12th pass sir. .
Sir mera rrcscr apprentice 2018 ke merit list me name hai. Or apprentice training ke time mujhe kya kya subidha milegi. Kyoki mera ghar secunderabad se bahut dur hai. hii sir I am interested in railway job .my qualification in b.com in mumbai university.